An ice rink isn’t exactly what you would associate with a garden underneath the Arizonan desert sun. But Glice® synthetic ice is always good for a surprise! 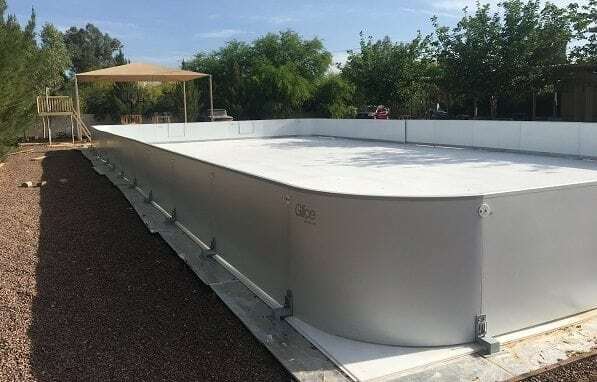 A father from Paradise Valley, one of Arizona’s top residential areas, recently had a Glice® synthetic ice rink installed for his son and friends. They are being coached on the home rink, which is the biggest of its kind in Arizona. From now on the training sessions conveniently take place right at home and at any time, which helps the kids to practice their hockey skills much more intensely.